Throughout her years in practice, Ms. Trainor has represented Chapter 7, Chapter 13 and Chapter 11 Debtors before the U.S. Bankruptcy Courts in the District of Columbia and Virginia, including acting on behalf of debtors from the initial consultation and planning stages through discharge in asset and no-asset Chapter 7 liquidations; through confirmation and discharge in Chapter 13 Wage Earner Plans; through completion of Chapter 11 Reorganization Confirmed Plans (corporate and individual); and through the appeal process to the Fourth Circuit. Ms. Trainor’s practice also includes representing creditors. She has defended clients in preference, fraudulent conveyance, and discharge litigation; as well as protected clients from foreclosures. Ms. Trainor can draw upon practice groups to provide advice and counsel on matters such as public and private sales of assets, financing, restructuring of debt, determination of the validity and extent of secured liens of creditors, valuation of assets, analysis, defense and prosecution of other bankruptcy causes of action, and formulation and presentment of feasible and confirmable plans. Ms. Trainor is often referred cases from real estate attorneys, or counsel in divorce (or other domestic relations) practices, for consultation and representation when these areas of the law overlap or conflict with one another. Since the beginning of her practice, Ms. Trainor has litigated cases in Virginia and DC State Courts involving issues in real estate, estates, and divorce (equitable distribution). 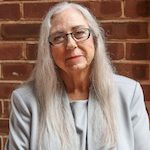 Ms. Trainor is very active in the Northern Virginia Bankruptcy Bar Association having served as President, as well as the Virginia State Bar Bankruptcy Section Board of Governors, having served as Chair in 2016-2017. She speaks at numerous seminars on bankruptcy matters and its interactions with other areas of the law. Ms. Trainor has served for many years in the mentoring program with the pro bono division of the District of Columbia Bar. Ms. Trainor has an AV® Preeminent rating from Martindale-Hubbell, the highest rating possible. Madeline A. Trainor practices in Virginia and the District of Columbia.